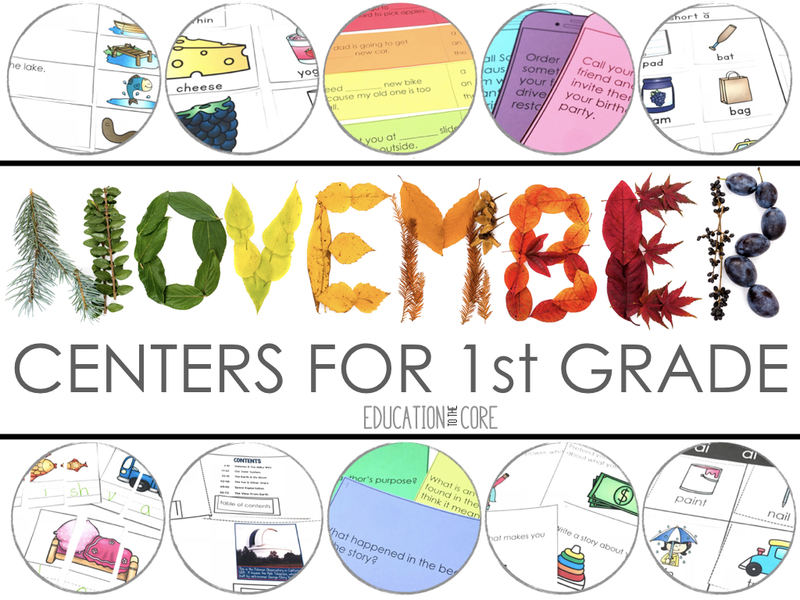 We can’t be more excited to share our September Centers with you! 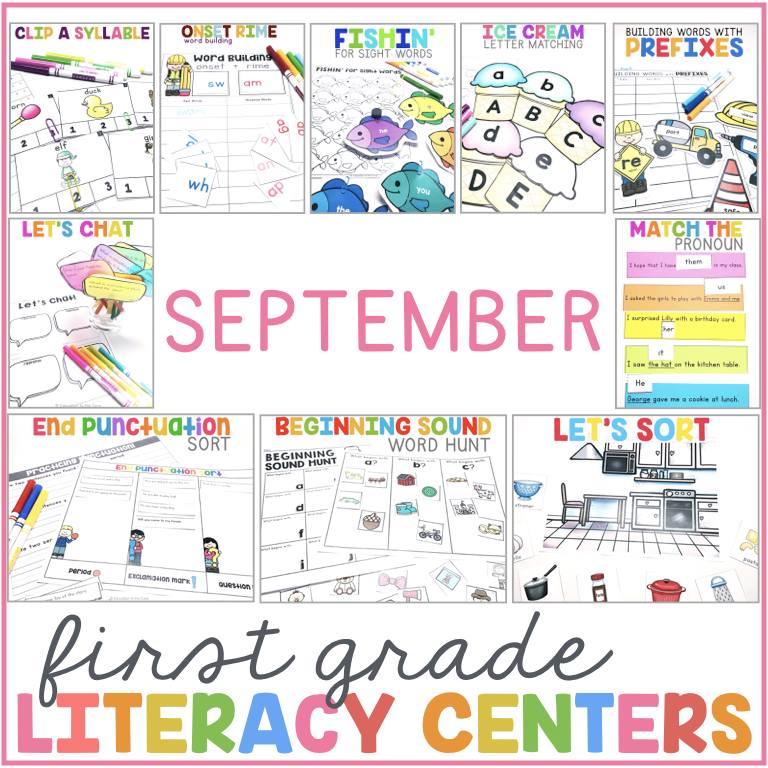 You will find a variety of phonics, language, vocabulary, and listening & speaking activities with these September centers. 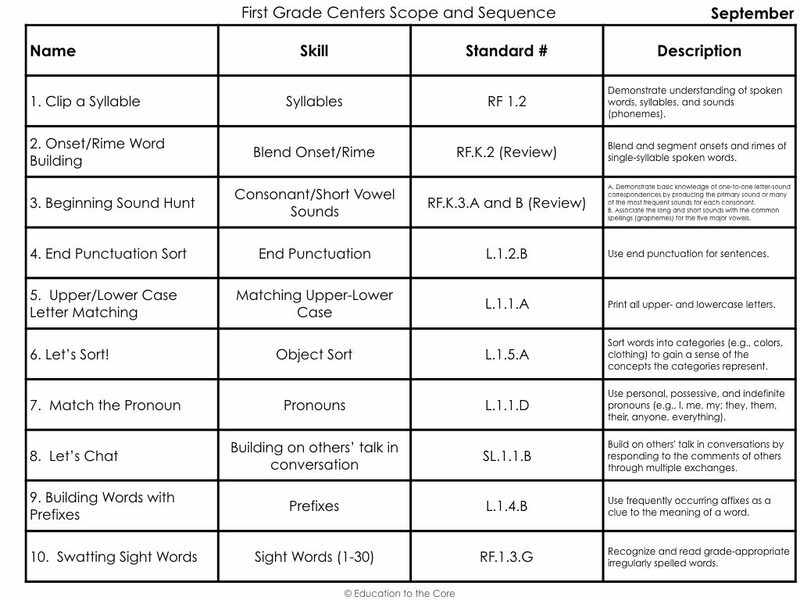 We provided a great review of essential kindergarten skills, and a solid start to first grade skills. 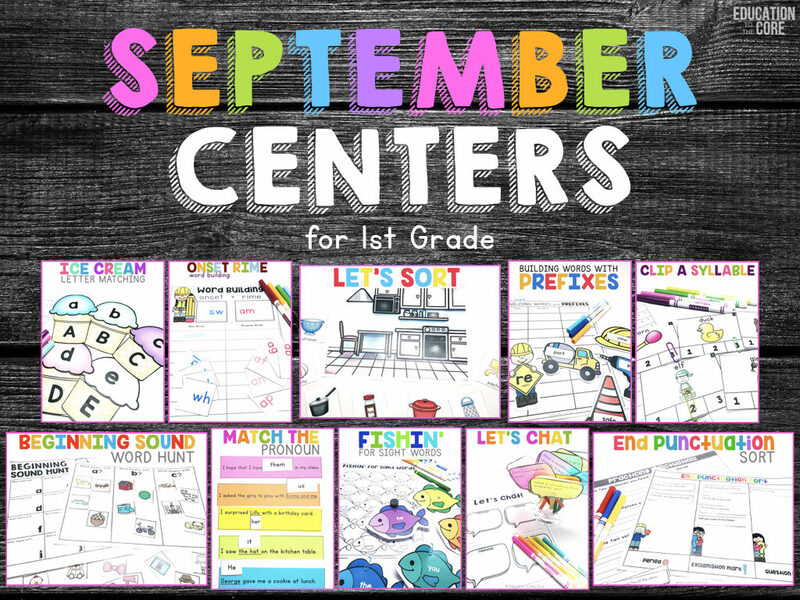 These centers will be beneficial to any first grade classroom! 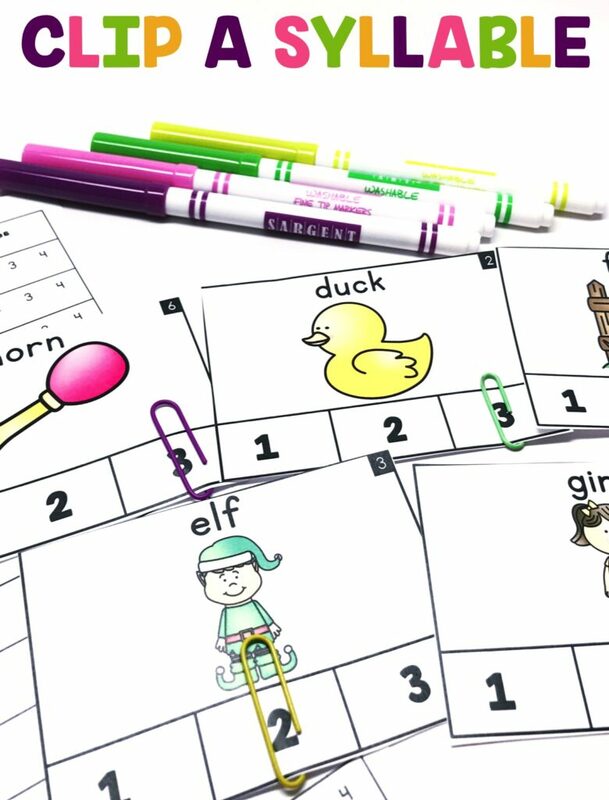 Practice syllables using these clip cards. You can use a paperclip or a clothespin. The accountability sheet includes a place to find the word, and circle it’s syllables. 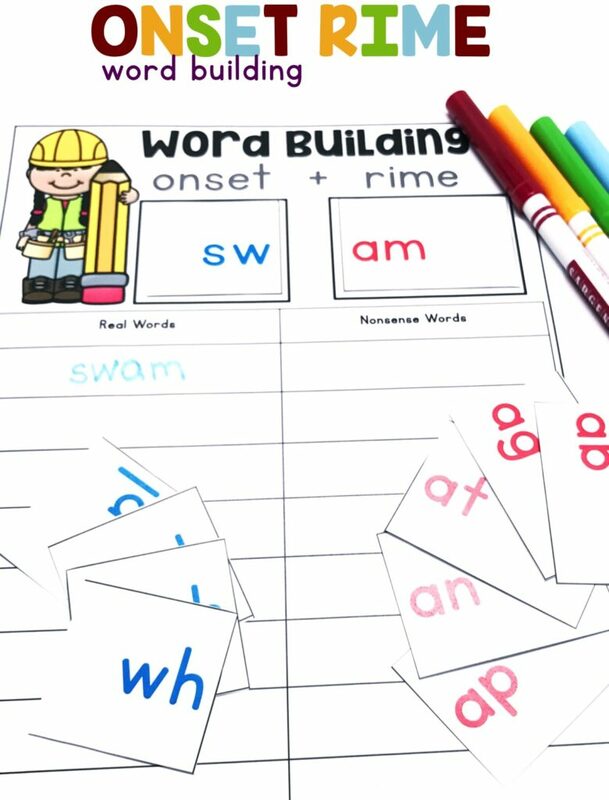 Blend and segment onsets and rimes of single-syllable spoken words using these onset-rime cards. Students will write whether the word is a real or nonsense word! The accountability sheet includes a space to write all the real words that were built during the activity. 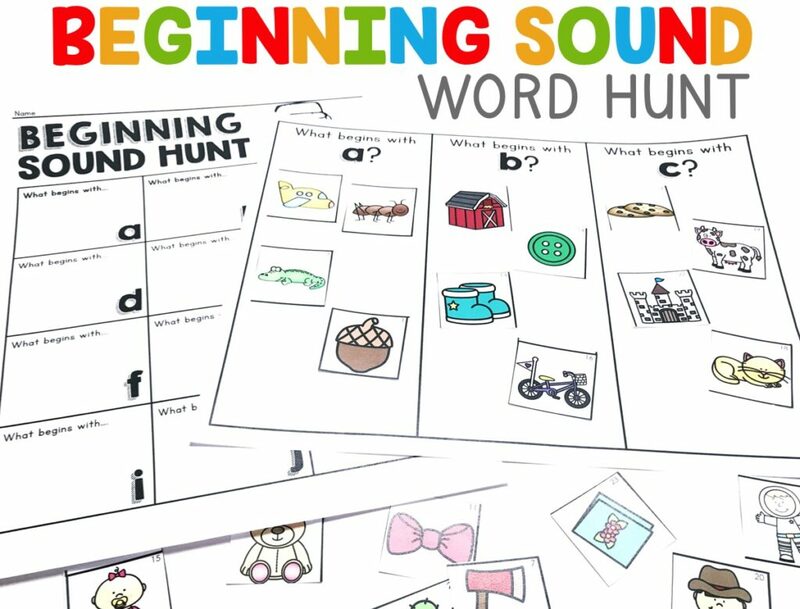 Students will be able to practice their knowledge of one-to-one letter-sound correspondences by saying the sounds of each object, and placing it under it’s corresponding letter. They will then write the words they matched up on the accountability sheet. 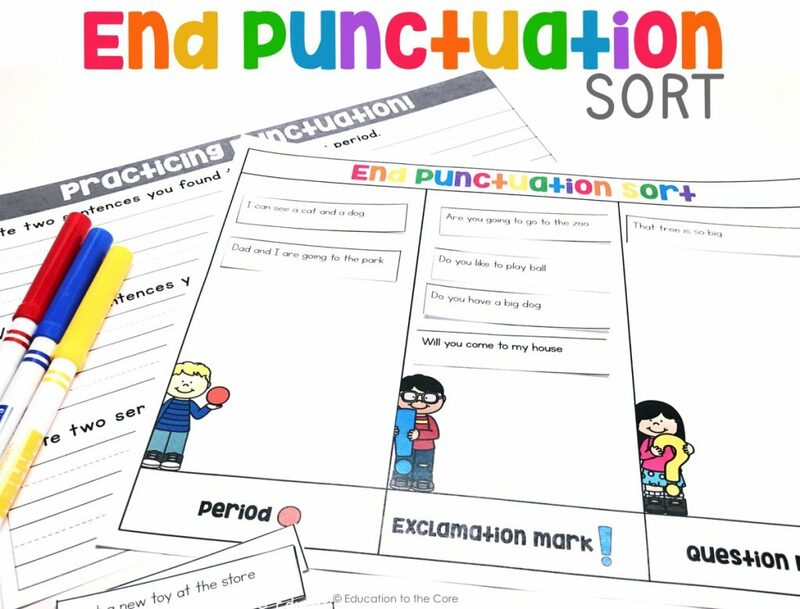 Students will read the sentences, and place each sentence in the correct section. They can then pick two sentences for each punctuation mark to write on their accountability sheet. 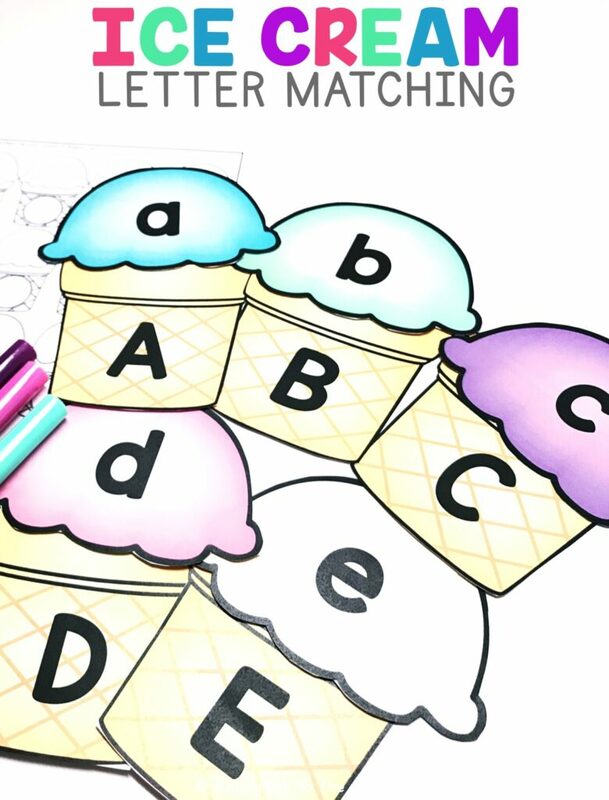 Students will get the opportunity to match upper and lowercase letters using the ice cream cones. They can then write the letters they matched up with their accountability sheet. Students will be exposed to a variety of vocabulary words that belong in familiar categories/scenes including a kitchen, campground, zoo, garden, classroom, and a map. 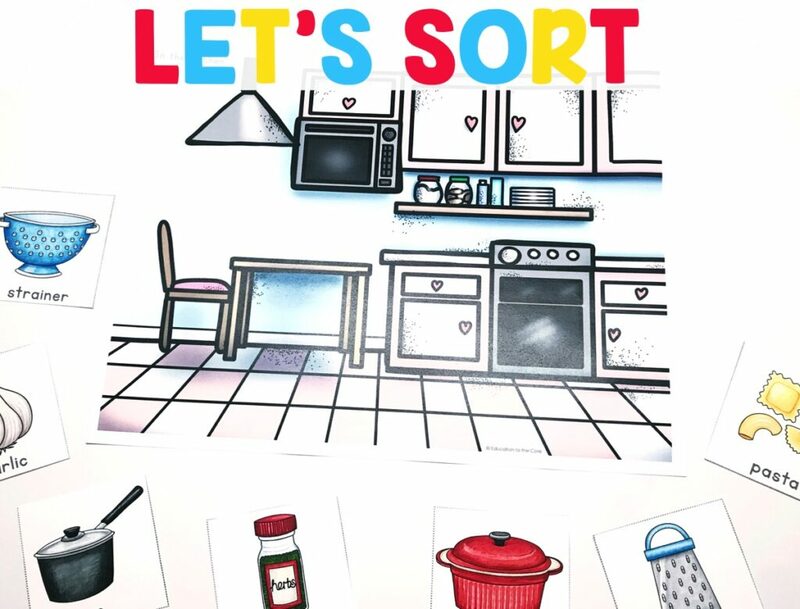 They will be sorting those objects into categories to gain a sense of the concepts the categories represent. Students will be reading sentence strips where the nouns are underlines. They will then replace them with a pronoun. 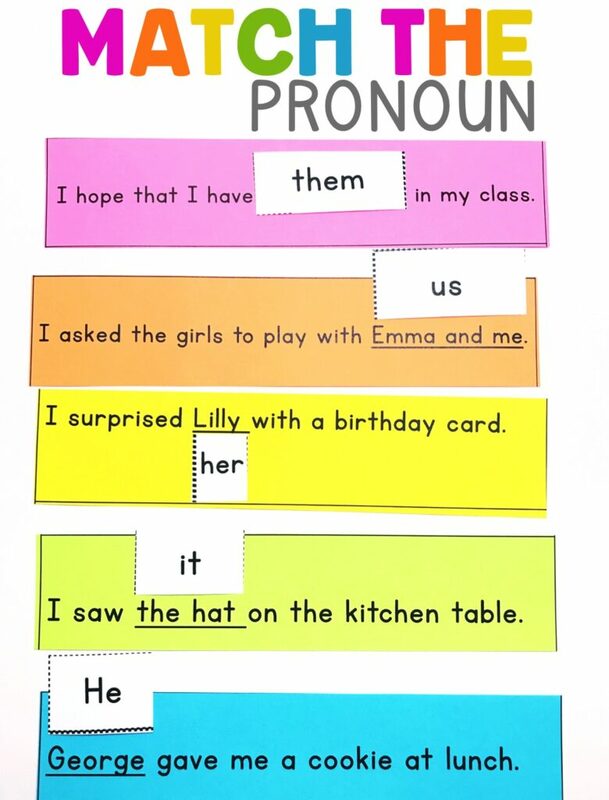 They will then write the pronoun that replaced each noun on their accountability sheet. 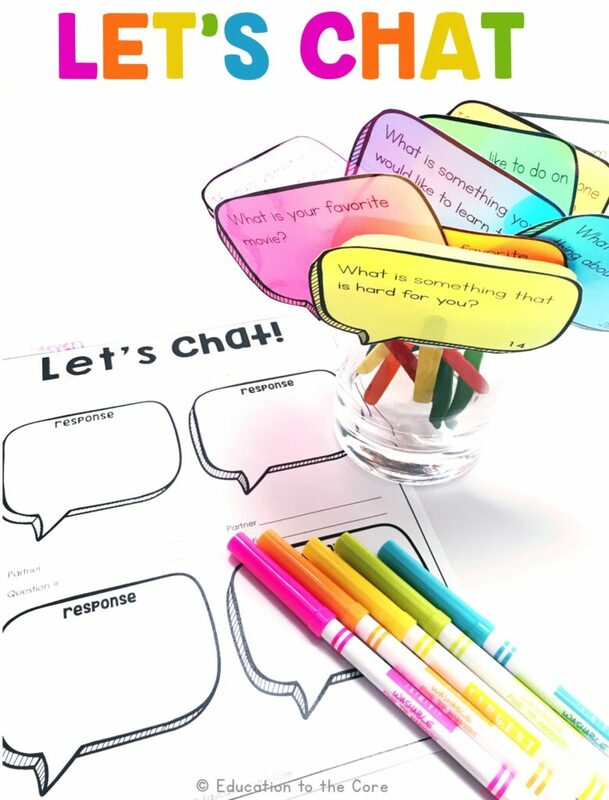 In this center, students will build on others’ talk in conversations by asking questions and responding to the questions and comments of others. They will then write what their partner said in the conversation bubbles on the accountability sheet. 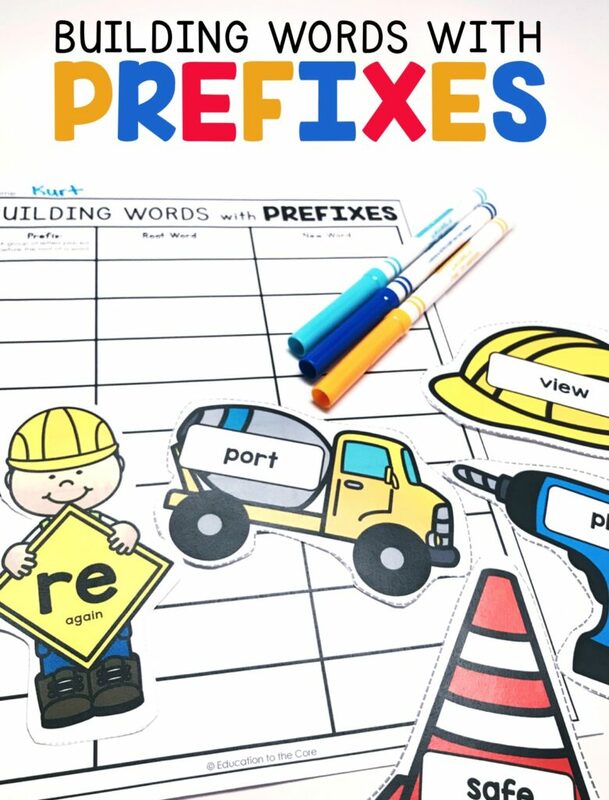 Students will be “building words” using frequently occurring affixes as a clue to the meaning of a word. They will then write the prefix, root, and new word on the accountability sheet. 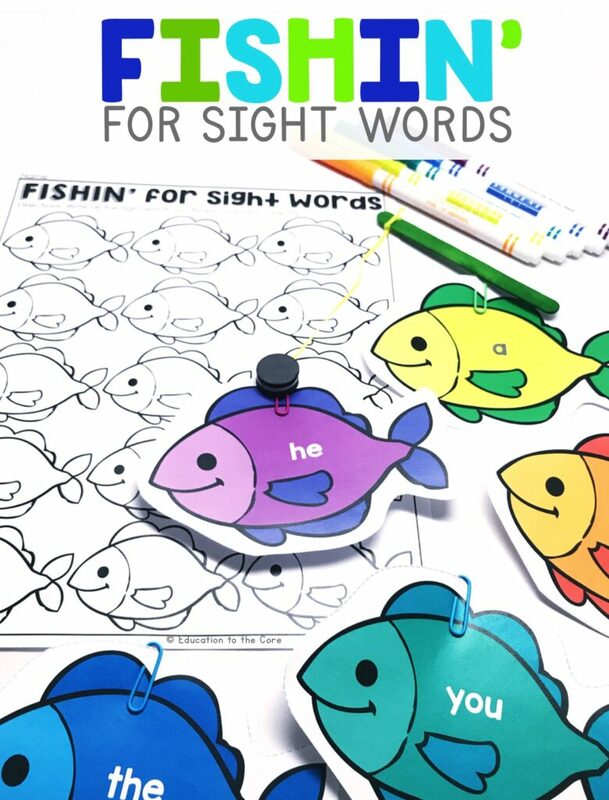 Students will “fish” for irregularly spelled words that they recognize. They will then write the words they recognized into their accountability sheet. If you enjoyed this blog post, be sure to join my email list to get exclusive FREEBIES, exclusive content, updates, deals! You can also keep up with Education to the Core by following me on TPT! Just click the green star to stay posted with our latest resources.